What is so powerful about clicker training? Why does it work and what do you need to succeed? 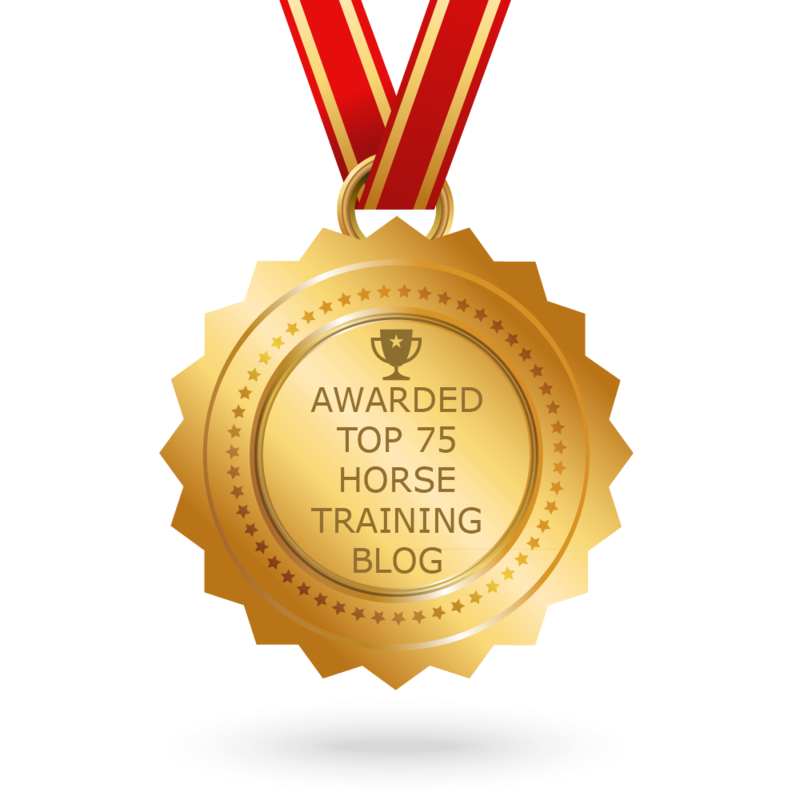 In this post I will talk about one of my favourite tools for training horses and how it changed my training approach to a much more horse friendly way of training. You can read about Training tools # 1 – 3 here. 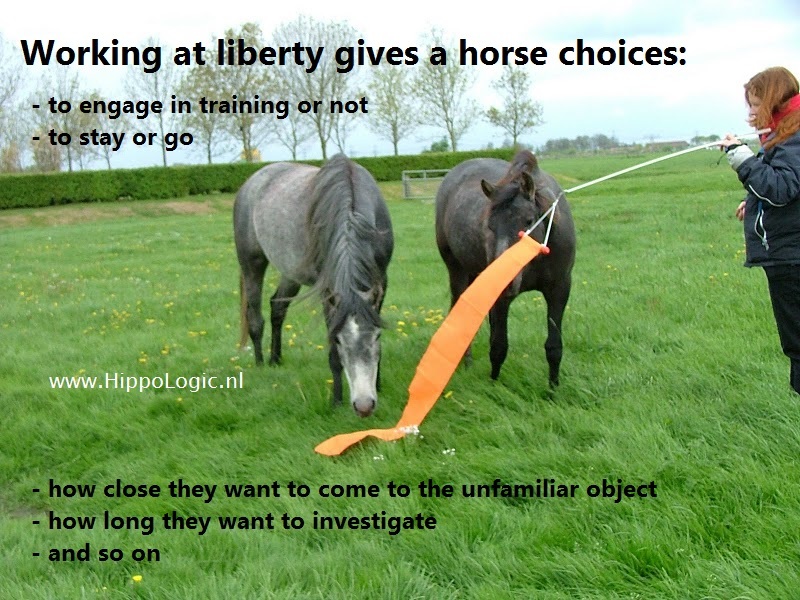 A scary and yet very powerful tool you can give your horse is ‘choice’. When I started to give horses a ‘voice’ by allowing them to make decisions in training I started to learn so much more about them. I was willing to accept whatever my horse was communicating and act on it, too. I learned what they liked and what not, how long their attention span was for specific exercises, when they wanted to stop training and when they lost concentration learning new things. I use that information to optimize our training. I learned what exercises were so rewarding in itself that I started to use them as secondary reinforcers. You can reward horses with exercises too, you know. See # 5 Mats. In hindsight my whole relationship with my horse was raised to another level when I started using ‘choices’ as a training tool. Before that I was convinced that I had the best relationship I could imagine. Giving my horse a voice by allowing him to make choices works best in combination with reward-based training. Clicker trained horses in general are encouraged and rewarded for trying out things. It might be less effective in a traditional training approach. Kyra sometimes indicates that she wants to leave the arena while riding. I take a mental note and after I am done with our arena exercises we end our ride with a stroll along the road. She loves to explore. There is a wonderful exercise that is called ‘101 things to do with a …’ You give your horse an object, for instance a carton box or a barrel and you click and reward once for every interaction with the object your horse comes up with. For example he sniffs it, one click, he paws it with his right front foot, one click, he only gets another click if he paws the box with one of his other feet. And so on. You can teach your horse to be creative. I’ve heard riders that give their horses a ‘Please dismount me’-signal to communicate. In the beginning the horses used their newly gained power a lot. Over time they started to use it less and less. I think I am going to teach Kyra a ‘Please dismount me’-signal and see what happens. Do you use ‘choice’ as a tool? I am curious to hear about what you allow and or if you encourage your horse to make choices? That is why I love it! There is a lot of information for the trainer when a horse is allowed to communicate his thoughts on the training. If he does cooperate happily as well as if he’s not cooperating. If you can listen and act on it, THAT is what strengthen the bond between horse and trainer. (One must of course have a bit of knowledge of ethology to interpret the behaviour, but trusting your gut feeling helps too).